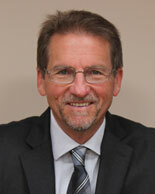 Mark K. de Langis is the founder of Lucas Valley Law, formed in 2002. Prior to forming Lucas Valley Law, Mr. de Langis was with McCutchen, Doyle, Brown & Enersen, one of San Francisco's oldest and most esteemed law firms. Mr. de Langis is a litigator, practicing in a variety of areas, from general business litigation to admiralty matters. Mr. de Langis has extensive experience in trials, arbitrations, and appellate matters in both federal and state courts. In his practice Mr. de Langis has represented myriad clients, ranging in size from Fortune 500 companies to individuals. His clients include ocean going cargo carriers, non-vessel operating common carriers, wharfingers, paper products manufacturers, home builders, natural foods markets, manufacturers, oil and pipeline companies, automobile companies, logistics companies, real estate brokers, and a private commercial satellite launching consortium in matters concerning property damage, personal injury, death, products liability, premises liability, contract, regulatory issues, and insurance.